we admit to being a tad bit biased. 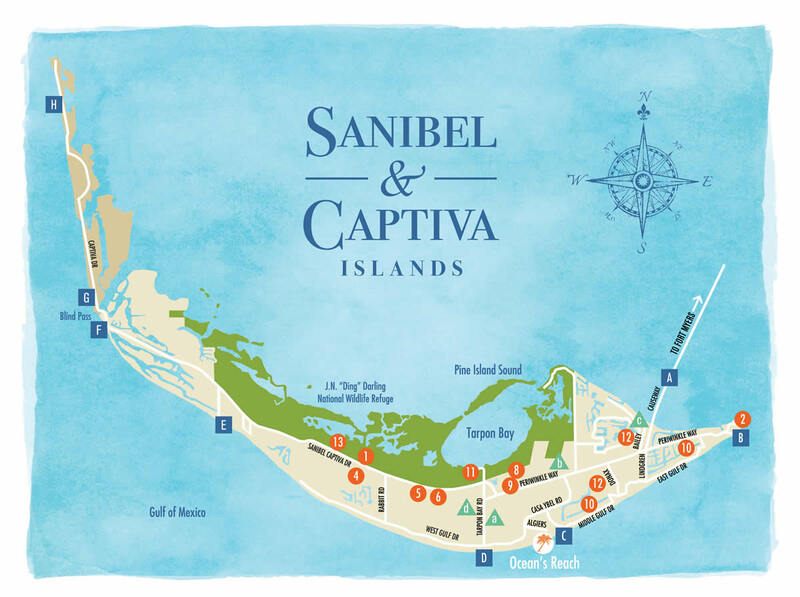 Here is a list of public beach accesses on Sanibel and Captiva islands. See map below to determine proximity of public beaches to Ocean’s Reach. We’re conveniently located close to many of them! On both sides of the causeway islands between Fort Myers and Sanibel. Great for fishing, windsurfing and picnicking, plus you can pull your vehicle right to the water’s edge to view sunsets! On the east end of Periwinkle Way. The site of the historic Sanibel Lighthouse, this beach locale also boasts a newly restored fishing dock, boardwalk nature trail and amazing wrap-around views from the tip of the island! On Algiers Lane right next door to Ocean’s Reach. 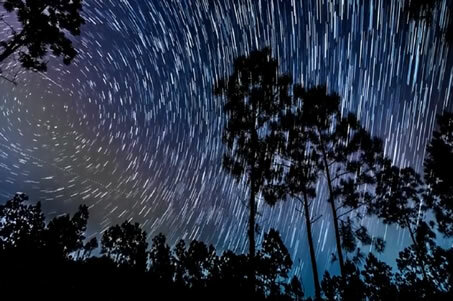 Offers picnic tables, shady trees and an interpretive loop nature trail. This beach is also a popular nesting site for loggerhead turtles! At the south end of Tarpon Bay Road at West Gulf Drive. Easy parking for recreational vehicles. 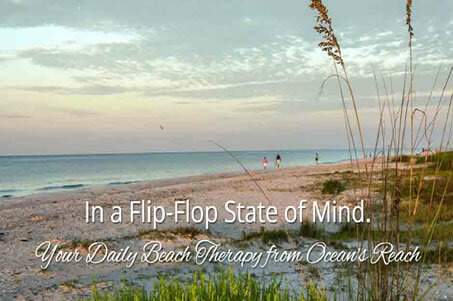 This beach has wide expanses of soft white sand and is ideal for swimming and shelling. Parking lot is a short walk away. Off Sanibel-Captiva Road. This beach has a playground and picnic area for families. It’s wonderful for its wildlife and seclusion, along with its large parking lot. Pack lightly, though, as to reach the beach from the parking lot, you’ll have an approximately 10-minute trek through a scenic wooded area. At Blind Pass on Sanibel side. 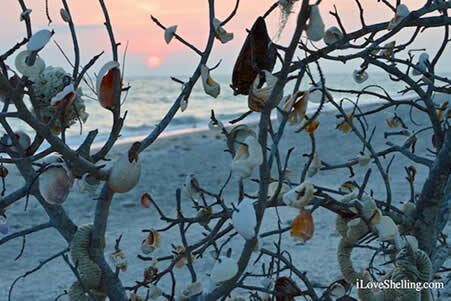 This beach straddles the pass between Sanibel and Captiva and is popular with shellers, fishermen and sunset-gazers. Pay attention to the signs warning against swimming the pass as swift currents pose frequent danger. At Blind Pass on Captiva side. On the other side of the Blind Pass beach. Also an excellent place for sunsets and romantics, plus it offers great fishing from the beach and the rock jetty. Swimmers should stay away from the bridge area, as the water gets deep quickly and there is typically a strong undertow. At the end of Captiva Drive. Often called “Captiva Beach.” A favorite spot for sunset, but offers limited parking. All public beaches offer restroom facilities, and some have picnic tables, grills and showers. Parking costs $5.00 per hour, with the exception of the Causeway beaches which are free of charge. Cash and credit cards are accepted at kiosk-style parking meters. All offer free handicapped parking. Based on availability, courtesy beach wheelchairs are provided with a 24-hour notice to the City of Sanibel Police Department Dispatch by calling 239-472-3111.